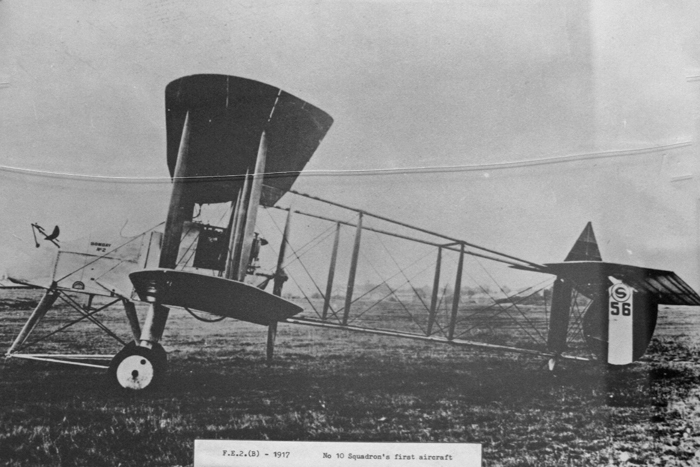 No 10 Squadron formed at Farnborough 1st Jan 1915. During its first 100 years the squadron spent over 20 years inactive and operated a single type for well over half of its active service. 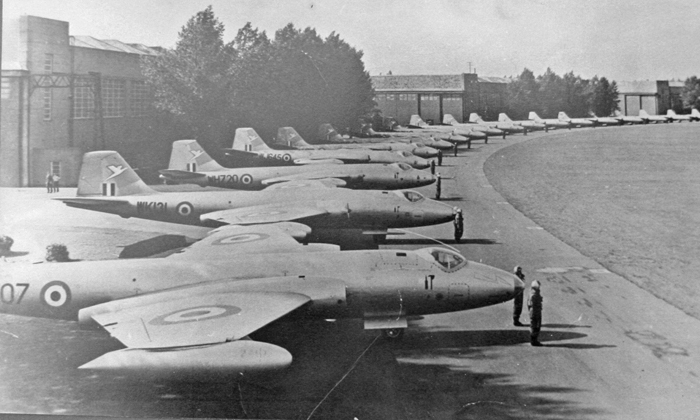 Almost immediately after formation the squadron moved to Brooklands and then to Netheravon, via Hounslow. Its initial equipment was a mixture of BE2b, BE2c, Longhorn, Shorthorn, Bleriot XI and Martinsyde S1. In July 1915 the squadron moved to France with the BE2c. It settled at Chocques, near Bethune, where it was to stay until November 1917. 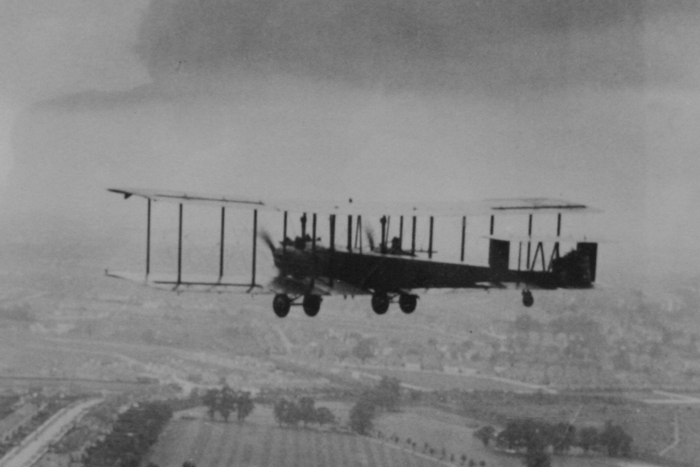 The BE2cs were subsequently supplemented with and replaced by the BE2d, e, f and g, and BE12s were operated for a very short period. 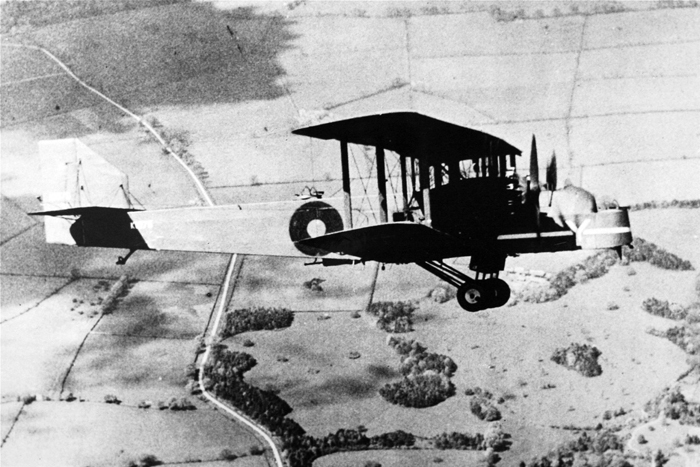 In July 1917 the BE2s were replaced by the FK8. In November the squadron moved to Belgium where it was to spent the remainder of the war. 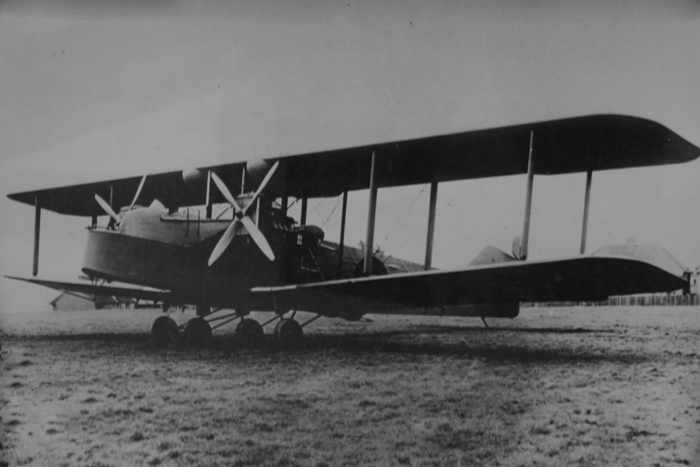 Between June and October 1918 Bristol F2Bs were operated alongside the FK8s. The squadron’s aircraft were removed at Ford in February 1919 and, along with many other squadrons, it was disbanded formally on 31st December 1919. 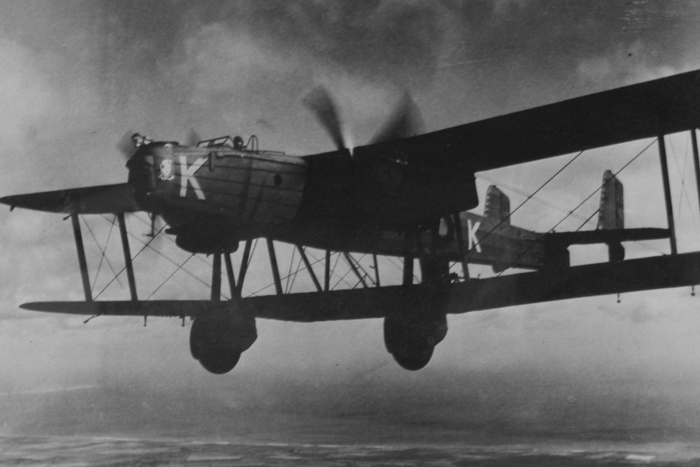 Eight years of inactivity ended with the squadron being reformed at Upper Heyford in January 1928, in the bomber role equipped with Hyderbads. The Hyderbads were joined by Hinaidis in December 1930 and the squadron moved to Boscombe Down in April 1931. The Hyderbads were retired in November 1931 and in September 1932 the Hinaidis were replaced by the Virginia X. After only 2 years the Virginias were replaced by the Heyford IA and in November 1935 these were in turn replaced by the Heyford IIA. 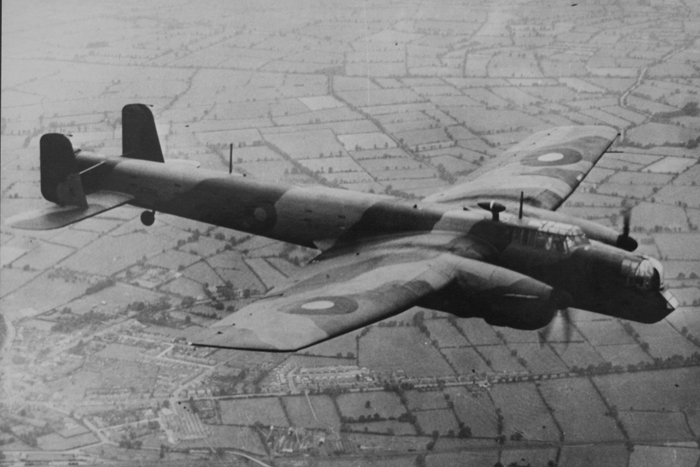 In January 1937 the squadron moved north to Dishforth and inMay received its first monoplane, the Whitley 1. 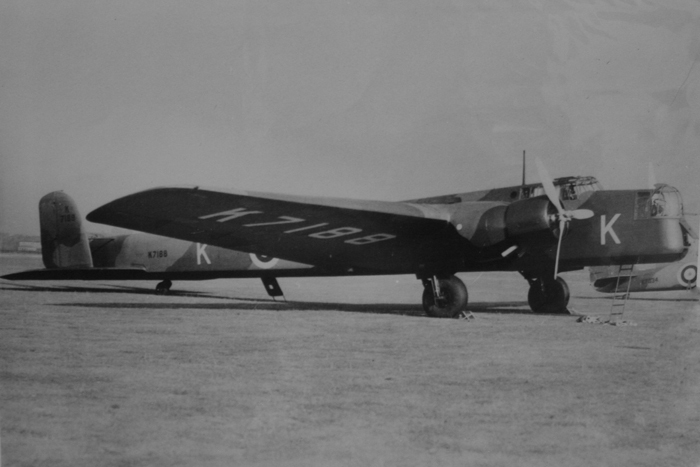 The Whitley IV arrived in May 1939 and the Whitley V in May 1940. In July 1940 the squadron made the short move up the AI to Leeming. 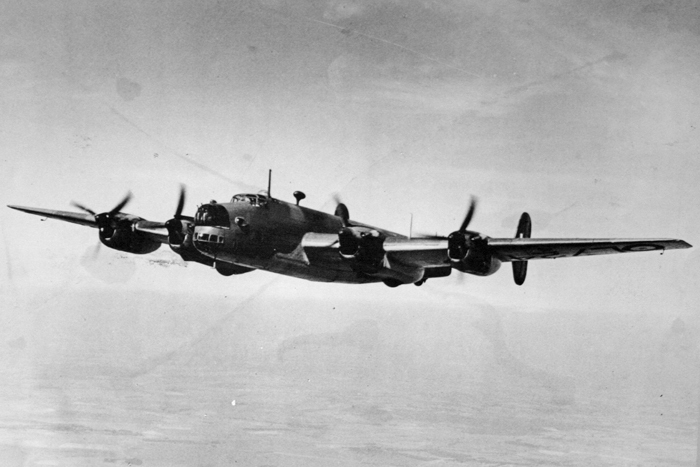 There, in December 1941, it converted to the four-engined Halifax I and Halifax II. In August 1942 it made its last move of the war to Melbourne. In March 1944 the Hercules-engined Halifax III arrived and remained the squadron’s equipment for the remainder of the war in Europe. With the end of the war in Europe the squadron swapped the Halifax for the Dakota. In early August it moved to Broadwell in anticipation of a move to the Far East. The squadron spent the next 2 years in India before disbanding at Mauripur on 15th December 1947. Onthe 4th October 1948, in the middle of the Berlin Airlift, the squadron was resurrected by the renumbering of 238 Squadron at Oakington. Once again the squadron was equipped with the Dakota and its aircraft operating on the airlift flew from Lubeck. This phase of the squadron’s life was short lived with disbandment coming again on 20th February 1950. This time the period of inactivity lasted nearly 3 years before the squadron reformed at Scampton with the Canberra B2 on 15th January 1953. 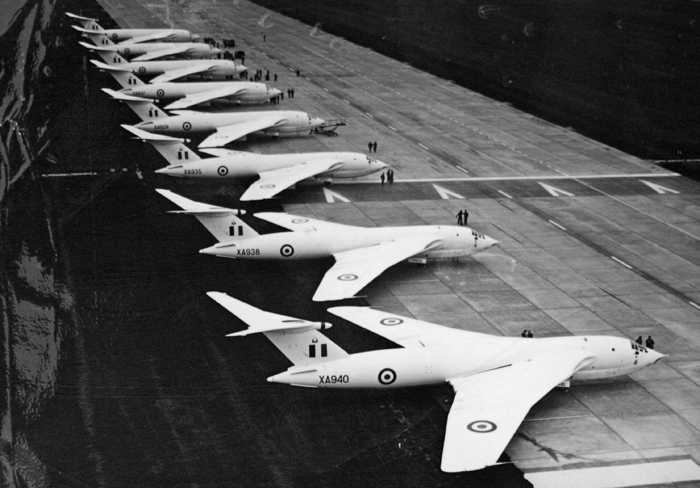 The Canberra era lasted exactly 4 years with a move to Honington in May 1955. Towards the end of its Canberra use the squadron took part in Operation Musketeer, the UK participation in the Suez campaign. On the 15th April 1958 the squadron became the first to operate the Victor B1 when it reformed at Cottesmore, where it was joined by 15 Sqn in September. The squadron disbanded on 1st March 1964. Two years of inactivity ended on 1st July 1966 when the squadron reformed at Brize Norton to operate the VC10 C1. 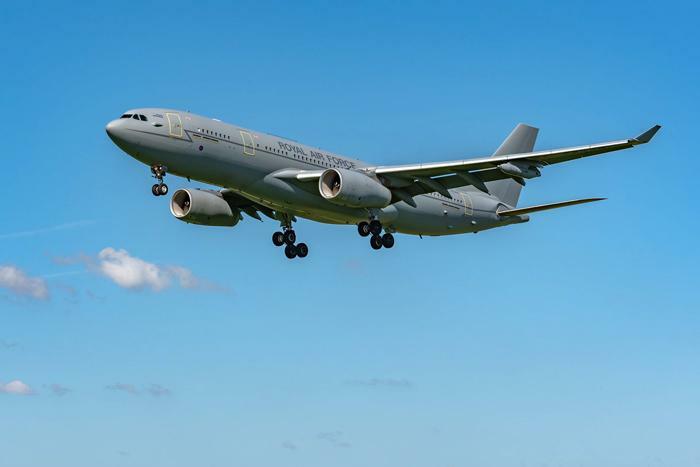 Brize Norton had been relinquished by the USAF and was nearing the completion of a major rebuilding programme to transform it into the RAF’s UK strategic transport base. VC10 operations started at Fairford before moving to Brize Norton in May 1967. The 14 VC10 C1s (reduced to 13 in 1969) were intended to be used mainlyon the extensive network of scheduled routes supporting British military bases worldwide. During this period, the two Britannia squadrons undertook most of the ad hoc passenger tasks. Continuing closures of overseas bases during the 1960s culminated in the decision in 1968 that all forces East of Suez (de facto East of Cyprus) would be withdrawn. With these changes much of the VC10 route network disappeared, with only the shorter Mediterranean and North American routes remaining and Germany being added. 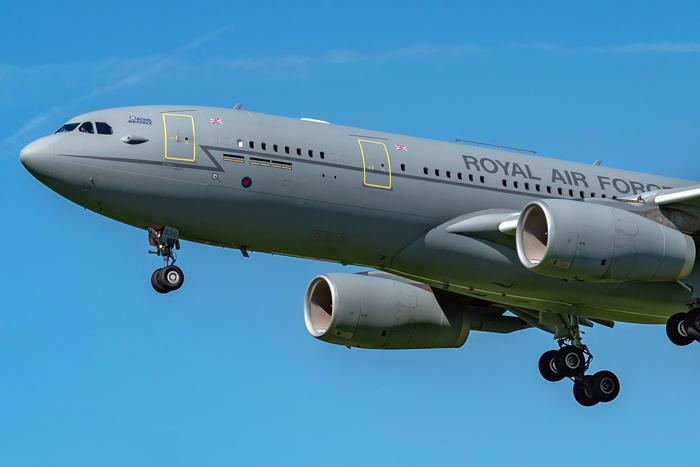 In response to these changing requirements, the RAF’s Britannia and Belfast fleets were withdrawn during 1976 leaving the VC10s and Hercules to cover the remaining tasks. 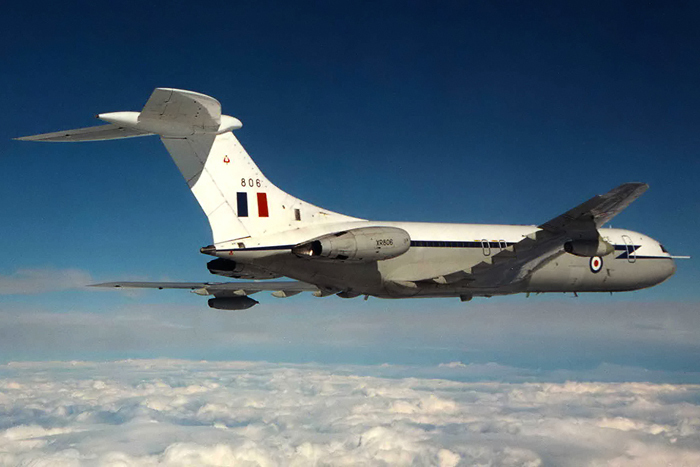 The VC10s were increasingly used on routine roulement flights and ad hoc deployment support. This period of relatively steady and routine tasking continued through into the next decade but in the spring of 1982 the Falklands conflict added a new task. During the conflict the squadron flew passenger and freight sorties to Ascension in support of air operations and the task force. Following the Argentinian surrender, the squadron was tasked with providing the northern leg of the Falklands Airbridge; the southern leg being flown by Hercules due to the limitations of Stanley airfield.Over the next few years, the squadron’s Falklands related tasking was changed progressively by the availability of the new Mount Pleasant airfield, the arrival of the Tristar C2 and the use of civilian contract flights. In August 1991 Iraq invaded Kuwait precipitating the First Gulf War. This was the first of a series of conflicts that would provide significant tasking for the next 15 years. During the conflict the squadron flew over 1300 sorties, delivering passengers and freight, including munitions, to the theatre and providing the bulk of the casualty evacuation flights. As part of the contract to convert the VC10 K4 tankers, the squadron’s C1s were modified to enable them to be used as 2-point tankers while retaining their full passenger and freight transport capabilities. These conversions were undertaken by FR Aviation at Bournemouth, the converted C1K aircraft being returned to the squadron between July1992 and October1996. 10 Squadron continued to operate the VC10 C1K, predominantly in the transport role, until October2005 when the squadron was disbanded, the remaining 11 aircraft and the remaining crews being transferred to 101 Sqn. The squadron reformed on 1 July2011 as the first to operate the Voyager KC2 and KC3. 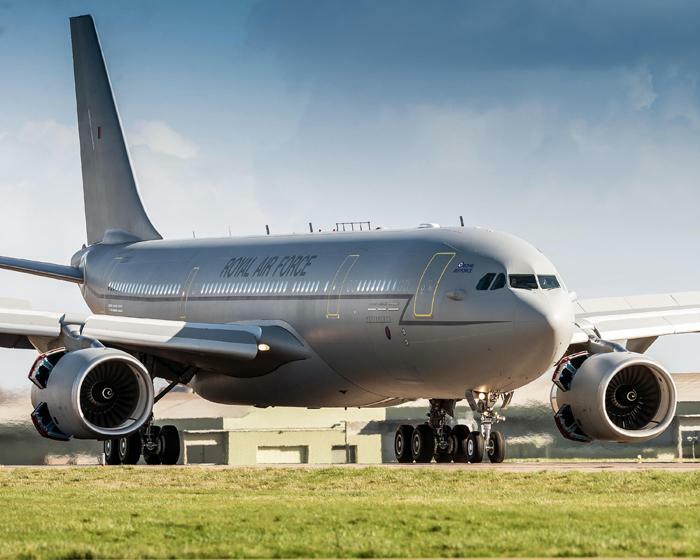 The Voyager’s prime role is tanking, with the KC2 carrying a Cobham 905 refuelling pod on each wing to refuel fast jets. 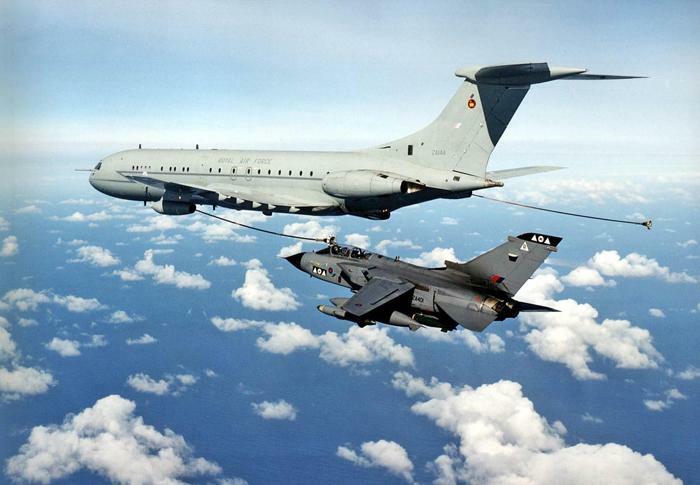 The KC3 carries an additional Fuselage Refuelling Unit on the centre line to allow the refuelling of larger aircraft. During all normal operations the aircraft carries a full complement of 291 seats without effecting the fuel load. However, some or all of these can be removed for the aircraft to be used in the Casevac or VIP roles. The Voyager is scheduled to remain in service into the 2040s so 10 Squadron’s future is secure well into its second century.